Absolutely beautiful! I’m headed to Banff in 2 weeks! Can’t wait. Absolutely wonderful photo’s Owen. How many wolves in the Banff Pack. I used to study them when Storm was the black alpha male. He was killed in a hunters trap just outside of Banff Park boundaries after living safely in the Banff corridor all his life. That left just the alpha female and their black pup. The pup was killed by a vehicle on the Johnson Canyon parkway. After that the alpha female left Banff and joined the Fairholme Pack. 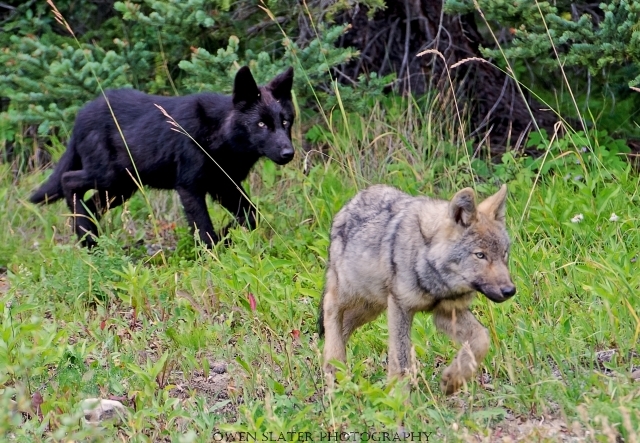 Very sad time for Banff no Wolf Pack left so it is good to hear they are returning. Thanks Kathleen! Nice to hear from you and thanks for the info on the old wolf pack! It’s always neat to see one in the wild. Hope you are doing well! Well that would definitely make a great day! Wonderful shots – those pups are pretty special especially since they are different colours. 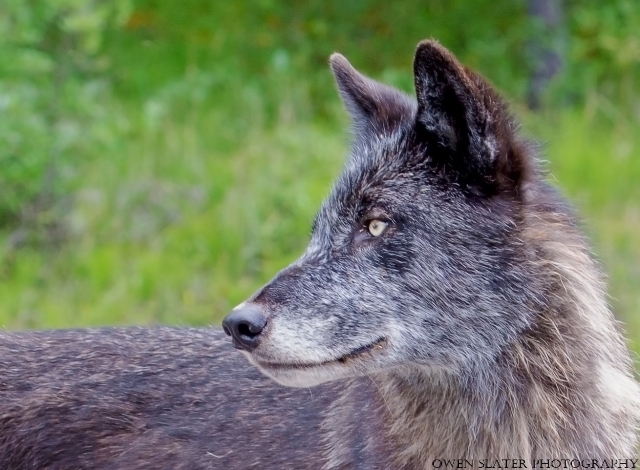 With the occasional wolf death reported, it’s nice to see evidence of young ones. Do you know how many wolves there are in the area? It’s believe that there are at least 5 packs and a total of just over 50 wolves in BNP. That’s more than I expected. Maybe I’ll get to see one in a couple of weeks.